In part one and two of this series, nine steps including technical and planning issues that impact email marketing campaigns were discussed. 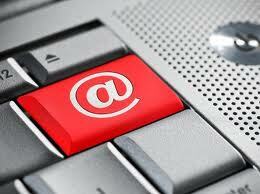 In this installment, one of the most vital steps in planning and implementing an email marketing campaign is detailed. Step ten to better email marketing is the most vital of them all: the human factor. The personalization of email marketing campaigns can be a daunting task. But, with just a few simple tools, businesses are able to turn a format letter or advertisement into a personalized message that captures the attention of recipients. Whether it is MailChimp, MailerMailer, or another email marketing tool, simple formats can be utilized to create engaging messages. Subject lines that are customized, email content with names in the headers, even selective content options are all possible with the right tools. Just a simply opening line with a personalized name can make the difference between a reader and a digitally crumpled email. Okay, so this step might not be as inexpensive as most email marketing options, but allowing for human responses to email marketing issues is an essential element. Adding a simple line or link pertaining to inquiries and questions takes up very little space. Responding to such a link, however, can take up a lot of time. Instead of a generalized auto-responder for all inquiries, consider using a human touch to specific inquiries and responses. People can tell the difference between an auto-responder and a flesh and blood human at the keys. Yes, personalized responses can be expensive, but they also turn interest into sales. Consider humanizing some responses to email marketing campaigns. With collected data, personalization, and human interaction comes responses which need to be responded to. Sounds logical, no? The amount of marketing campaigns which send out messages, receive responses, but never respond back is astounding. Personal, human communication is best, but even a simple software or service generated response is better than no communication at all. Consistent communication between the marketer and the prospective customer is an all too forgotten art. Treating email recipients as humans requires very little investment, but the return is astonishing. A header with a customer’s name, a timely, human answer to a question, and consistent communication is all that is needed to turn the impersonal medium of email into a humanized interaction.